Hello, pleased to meet you - they call me Grape. I'm more than happy to head to Scotland if you'll take 's up to you. 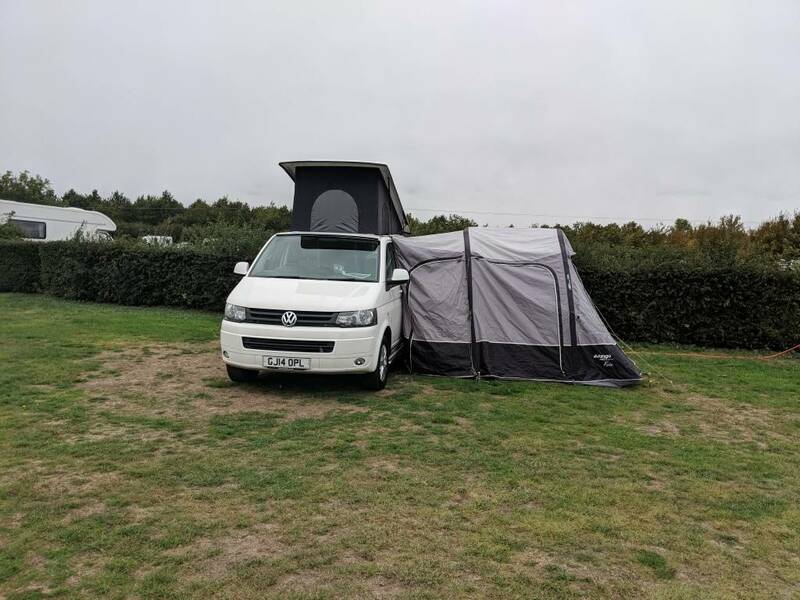 I can accommodate 2 adults & 2 kids (and a pooch if you have one)….the pop-top roof allows for plenty of standing room & houses the pop-top bed for little ones - which all adds to the adventure. LED lighting & blue tooth speakers help create that perfect ambiance whilst parked up by the coast sipping on a cold one. Taking an Autumnal or Winter not worry - your VW Campervan comes equipped with a propex heating system & an insulating thermal wrap around blanket for the pop-up roof that will keep you toasty warm. Your Campervan also makes taking your bikes with you a breeze - our bike rack can handle 4 bikes……so get peddling!! On collection, we will agree the fuel level with you. You need to return the van refilled to that same level at the end of the hire. An administration charge of £25, plus the cost of the missing fuel will be deducted from your security deposit if the van is returned with missing fuel. Camping Gas is provided for the cooker and fridge. The light/torch battery is charged from the cigarette lighter in the van. We will meet the cost of one additional cylinder of gas on production of a valid VAT receipt. We will not pay for an incorrect size or make of gas cylinder and will charge you £70 for replacing the incorrect size or make of gas cylinder. We welcome pets. We charge £25 per hire. This is for additional cleaning. Pets must be disclosed on our Booking Form and only pets that we confirm are acceptable may be brought into the campervan. All damage, however caused by your animals, will be charged to you. You undertake to comply with current law concerning the carriage of animals when travelling in the van at all times. Pets must never be left alone or unsupervised in the campervan. Mark was very attentive with our booking, and was flexible on the return time as the slot was free. His briefing of Grapes operation was solid, and he was friendly and helpfull throughout. 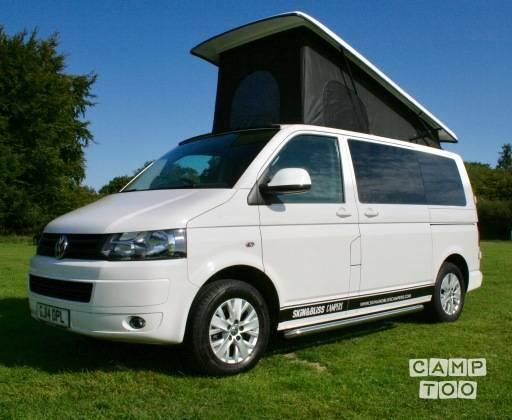 For us, it was a tester to see if campervans were for us, and I higly recommend Grape as a quality vehicle with extras to have a holiday in.